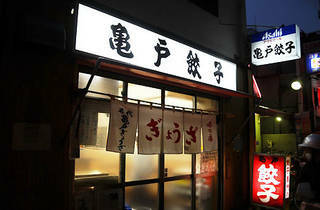 Need a quick snack in Kameido? 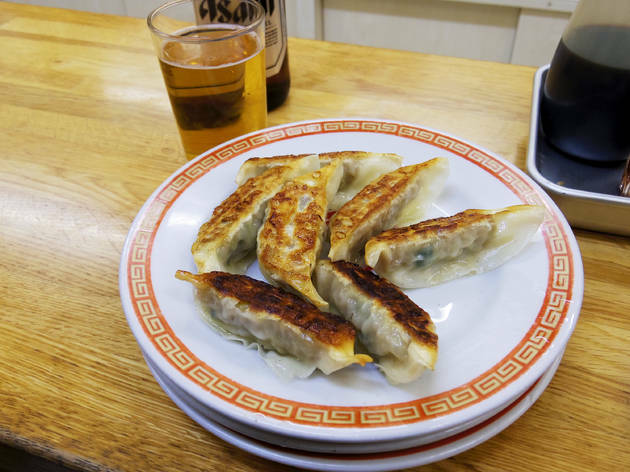 Enter through the sliding doors and you’ll barely have time to sit down by the counter before a steaming plate of gyoza arrives in front of you – with only one item on the food ‘menu’, this local favourite takes specialisation to its logical extreme. Still, more than the rather basic fare itself, low prices (¥250 per plate) and the potential for eating contests are what keep fans coming back. 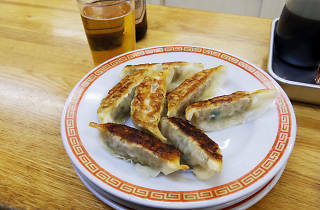 Multiplication sheets on the walls help you keep track of the bill – an absolute necessity, as the energetic ladies patrolling the premises are more than eager to fill up any plates down to two dumplings or less.